Heroes star Jimmy Jean-Louis will lead a charity motorbike ride in LA for charity on Saturday, February 27. 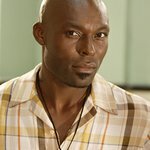 The actor will ride a motorbike for the very first time alongside Brian McKnight, James Kyson-Lee (“Heroes”), Gilles Marini (“Dancing with the Stars”), Lou Pizarro & Operation Repo Team, Olden Polynice (Former LA Clipper), Jaime Gomez (“Nash Bridges, Training Day”), Omarosa (“The Apprentice”) and many others at the event to raise money for Haiti. Members of the public can also join in, and a “Haiti-themed” Suzuki GSXR 1000 valued at $40,000 will be auctioned. The Ride 4 haiti event is brought to you by Hollywood Unites For Haiti and Scorpian Customs, and will take place rain or shine. The ride starts from Harley-Davidson Glendale, California, at 12pm, and ends at Bert’s Mega Mall in West Covina. To find out more information and watch a video of Jimmy Jean-Louis talking about the event, click here.